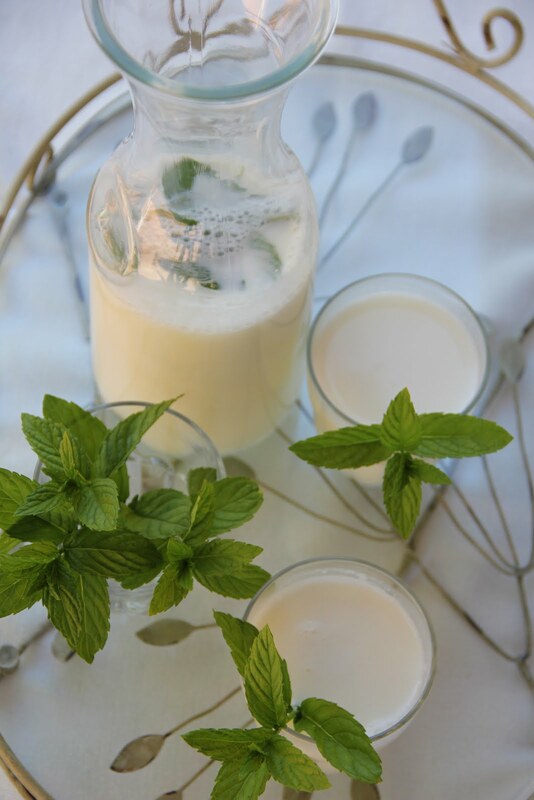 Doogh is a popular yoghurt based quencher and is usually drank with Kebab and rice during summer time. Traditionally in Iran, butter is extracted from fat in yoghurt while in other parts of the world butter is exctarcted from cream. Churning yoghurt into doogh and butter is a time consuming process. Milk is collected in large clay pots (koozeh) used as a butter churn and a little yoghurt is added to make yoghurt. Once yoghurt is ready, the churn is shaken backwards and forwards to separate butter granuels from yoghurt, which is collected and cooled to form balls of butter and the remaining liquid is served as doogh. Doogh Abali is the most popular carbonated doogh commercially available, however to make this drink at home is an effortless task. I prefer to make this with slightly sour yoghurt, plenty of salt and carbonated water (S.Pellegrino is best). 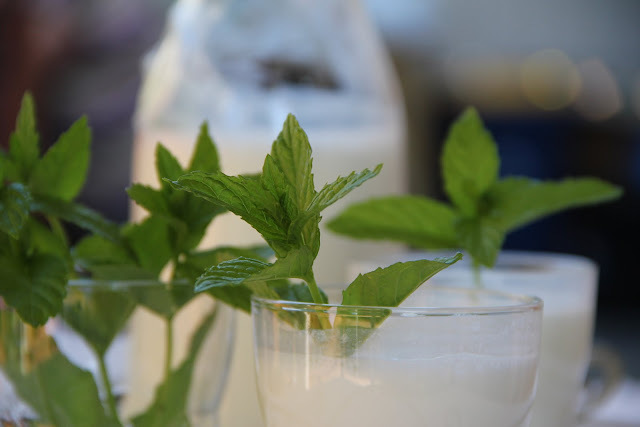 For every glass, add 2-3 tablespoons of yoghurt with water and salt to a blender jug and blend for a minute. Add plenty of ice cubes in hot summer days!